It's raining security threats every day. And your PC is bound to get subjected to one of them over time — if it is not protected or secured well using the right kind of security tools. Now, what are the security tools which you as PC users will need to ensure your PC stays protected not only against different types of malware but even zero-day threats? Here are some answers. no matter how sophisticated the modern-day malware might be, the basic antivirus still plays a huge role in protecting your PC(s) against them. After all, it's the last line of defense you can equip your PC with, in case every other security tool you might have fails. Therefore don't forget to install antivirus. 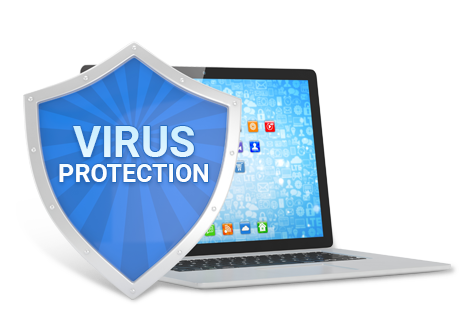 Comodo Free Antivirus, which comes equipped with impressive security features, like Default Deny Approach, HIPS (Host Intrusion Prevention System), Viruscope, Virtual Desktop, Rescue Disk etc., is easily one of the best antivirus packages around in the IT security market. installing firewall is another way of enhancing your PC Virus Protection Level. While antivirus software mainly deals with scanning for malicious software, firewalls are responsible for monitoring and filtering your network's traffic. Therefore it's always best to install a firewall as well on your PC. Comodo Free Firewall is a good way to get started. Because, well, it's free and is really effective. Easy to install and configure, user-friendly, offering high application control and cloud-based analysis, apart from the usual security features — like Default Deny Protection — this is an advanced firewall software you simply cannot miss out. Comodo Internet Security (CIS) — which contains Comodo Firewall too — comes packaged with impressive security features like Secure Shopping, Web Filtering (available with CIS Premium which is free), Wifi Security, Online Storage (both available only with Internet Security complete), and more, which ensure your PC virus protection level is taken to a whole new level. As a PC user, having one security tool (like Comodo Antivirus) for protection is not such a bad option. But considering the rate at which the cybersecurity threat landscape is evolving dangerously, throwing out security threats that haven't been previously encountered almost every day, it's time PC users went for absolute protection by investing in tools which offer a mixture of security tools (like Comodo Internet Security) for enhanced protection.